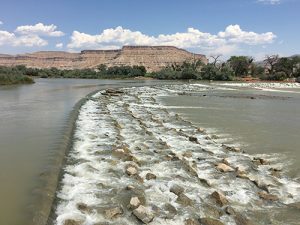 The Green River/Tusher Diversion is located upstream from Green River, Utah. 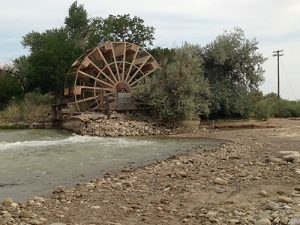 The Green River has been diverted for years to supply irrigation to local farmers, ranchers and local citizens for the production of crops. During the 2010/2011 floods, the Tusher diversion structure was damaged, compromising its structural integrity. 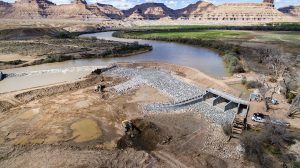 If the diversion would have failed, water service to the City of Green River, three irrigation canals, a historic irrigation water delivery system, and one hydropower plant would have been without service. 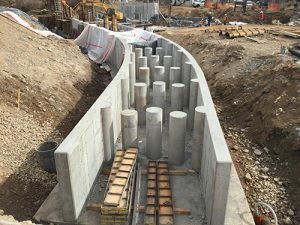 In 2015 the Natural Resource Conservation Service, along with the Utah Department of Food and Agriculture, in partnership with local stakeholders, contracted with Bowen Collins & Associates to design and provide permitting assistance for an $8,000,000 (construction and design costs) diversion project that would replace the existing structure. 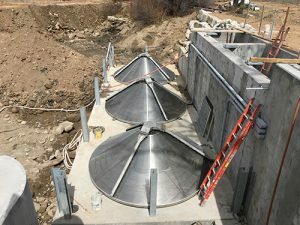 The project was awarded to Gerber Construction in the fall of 2015. Final construction was complete in the spring of 2016. 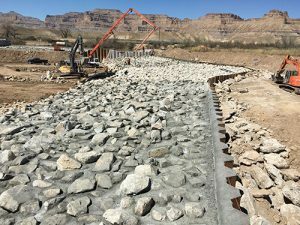 In November 2016 the project was awarded the Grand Award by the Utah American Council of Engineering Companies. 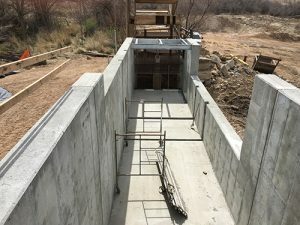 Irrigation intake structure with fish protection (the project had the potential of impacting the habitat and migration of four endangered fish species (Bonytail, Colorado Pikeminnow, Humpback chub, Razorback Sucker).